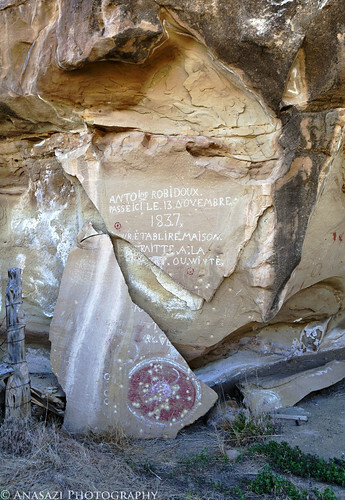 I received word from my friend Philippe this last weekend that the Robidoux Panel in the Book Cliffs was broken when he visited it at the beginning of his Southwest trip this year, so I just had to go see it for myself. On my way home from Moab on the solstice, I made the short detour and found that part of the panel had indeed broken off and fallen to the ground. I had last visited this panel on December 18, 2010 and it was all in one piece then.